Alexandria Ocasio-Cortez: We Have Money for Tax Cuts and Wars, Why Not Healthcare and Education? 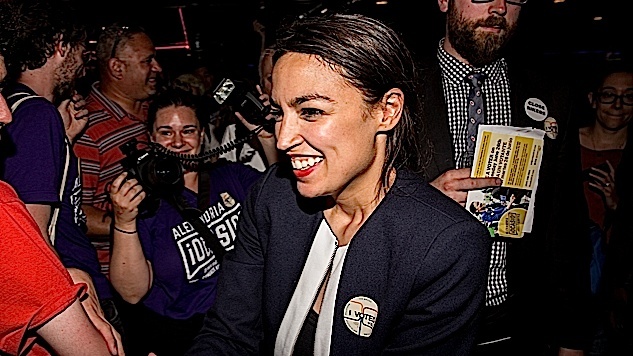 Alexandria Ocasio-Cortez, who has followed up her surprising primary win over incumbent Joe Crowley in New York’s 14th congressional district with a sustained media push on behalf of progressive candidates and causes, appeared last night on CNN with Chris Cuomo. When he asked her about the price of her proposals, like universal healthcare, he conveniently left out the fact that it would be cheaper overall than our current system—as mainstream pundits usually seem to do. But Ocasio-Cortez’s response was perfect, and made a very simple point: Nobody blinks when we have trillions for wars, or tax cuts for the wealthy, and nobody asks Republicans where they’re going to find the money. So why is it that we can’t fund things that actually help people? More Democratic politicians need to be able to deliver this message with the same succinctness. It’s not complicated—we have the money, every other developed nation does it, and it’s a national embarrassment that we let people suffer in favor of tax breaks for the wealthy and fruitless wars.